Expert advice on all the issues to consider before volunteering abroad, from cultural awareness, to environmental impact and animal welfare. When we decide to volunteer, it’s usually out of a desire to help. But is our aim of doing good, actually doing untold harm? There is a maze of social, environmental, cultural, political and economic issues to consider. Is there any way to really ensure that we are volunteering ethically? Our partners Tourism Concern are hosting their Ethical Volunteering Conference this Saturday, November 26, to introduce people to all the issues surrounding the ethics of volunteering, while giving sound and practical advice. It’s a must go to event for anyone interested in volunteering abroad. Here at the Crees, we have been engaged in the issues surrounding ethical volunteering for over a decade. 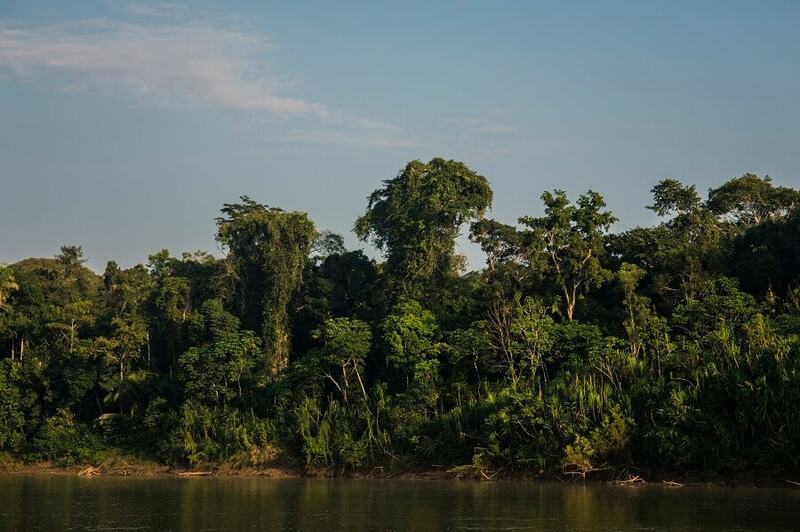 Our mission is to protect the environment in our corner of the Peruvian Amazon, while empowering local communities so that they can improve their livelihoods and living standards. 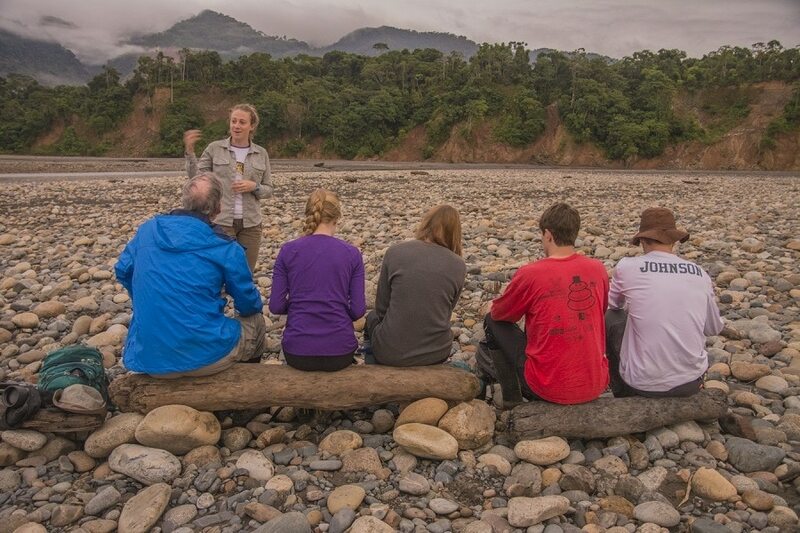 We do this by educating and training local, national and international visitors and volunteers within our research and education hub in the rainforest, the Manu Learning Centre. 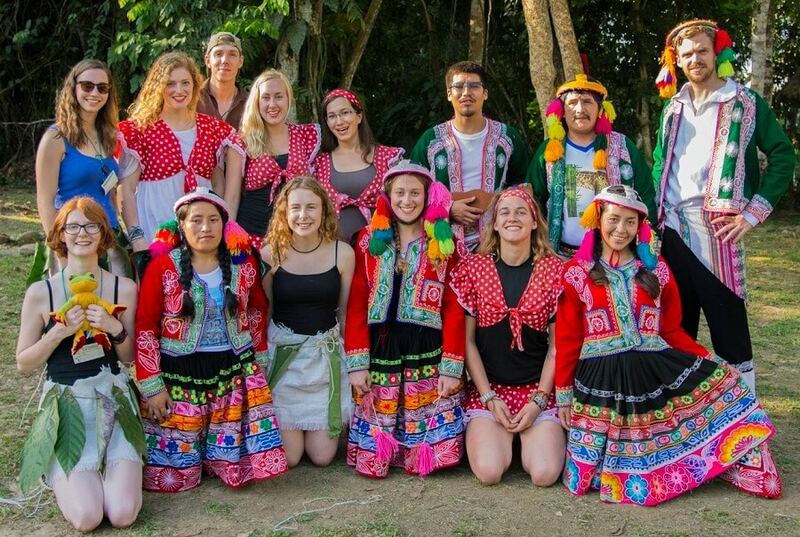 Many of us travel to immerse ourselves in another culture, to discover new and interesting ways of looking at the world, to challenge our preconceptions and prejudices. The questions are seemingly endless and are not easy to answer, but if you’re travelling or volunteering abroad then they’re issues that you need to think about and research. You certainly can’t know everything before you go, but becoming as informed as possible is the key to ethical travelling. It’s important to ensure that the organisation you choose to volunteer with has a comprehensive understanding of cultural issues and can offer advice. Tourism Concern is the go to place for information on how to deal with a range of different cultural issues and their conference this weekend will be packed with practical guidance and help. 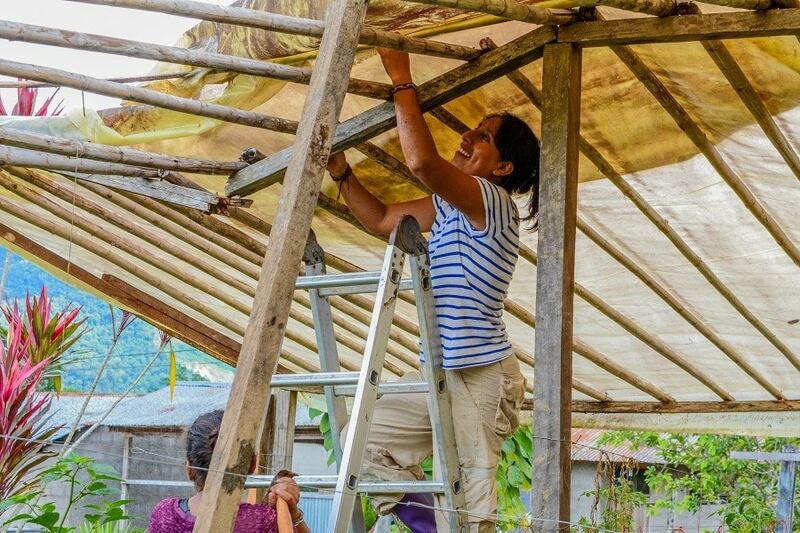 Ensuring the organisation you choose is culturally aware and sensitive is the first step, but your volunteer placement should be actively helping and improving the lives of local people. It’s a shameful fact that many organisations still use volunteers instead of employing local people – displacing jobs, increasing unemployment and poverty. While others simply cut local people out of the equation and have no interest in meeting the community’s needs and aspirations. As a volunteer, it’s important that you ask organisations difficult questions. How many of their staff are from the country where the volunteering takes place? How has the organisation identified the needs of local people and what are they doing to meet them? In what way do volunteers impact local communities and what steps has the organisation taken to address negative affects? Do your research and don’t be scared to ask tricky questions, even when you’re out there. The knowledge and expertise of volunteers can really help an organisation improve its practices, something that we all should constantly be looking to do. Again, Tourism Concern gives very useful advice and a list of volunteering organisations that it recommends. Many of us are inspired to volunteer because we want to help protect the natural world. But it’s extremely hard to travel abroad and have no impact on the environment. If we just look at the impact of flying, it is currently the fastest-growing contributor to CO2 emissions. So does that mean don’t go? We believe that travelling and volunteering can be extremely important for supporting environment protection. 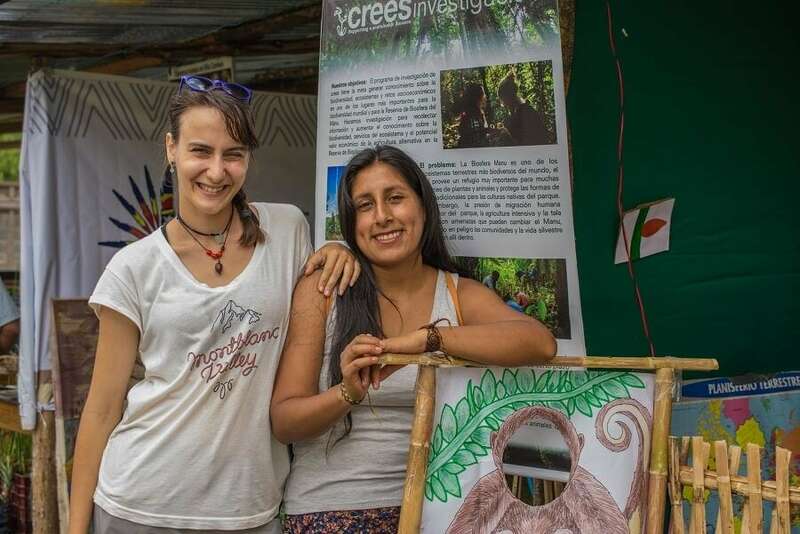 National Parks are hugely dependent on international visitors for much needed funding, volunteers often help carry out fieldwork to further our understanding of biodiversity conservation, while ecotourism can give local people a financial incentive to protect their forests. Again, it’s all about picking the right organisation. You need to ensure that the negative environmental impact of travelling abroad is offset by volunteering for an organisation that has a clear and concrete mission for long-term, sustainable environmental protection. It’s easy to loose sight of our environmental aims when we hear of a volunteer opportunity in an awe-inspiring place that guarantees up-close wildlife sightings of the animals we love. Riding elephants, looking after orphaned orang-utans, and swimming with dolphins are hugely popular tourism activities for people who love wildlife, but they usually have nothing to do with environmental protection and can cause a lot more harm then good. Some wildlife sanctuaries and zoos do fantastic work, but if you want to volunteer with wild animals then you must do a lot of research before you go. Remember that seeing wildlife in its natural habitat can be a much more rewarding experience, even if it’s not guaranteed, and volunteering with conservation organisations truly contributes to the protection of our natural world. 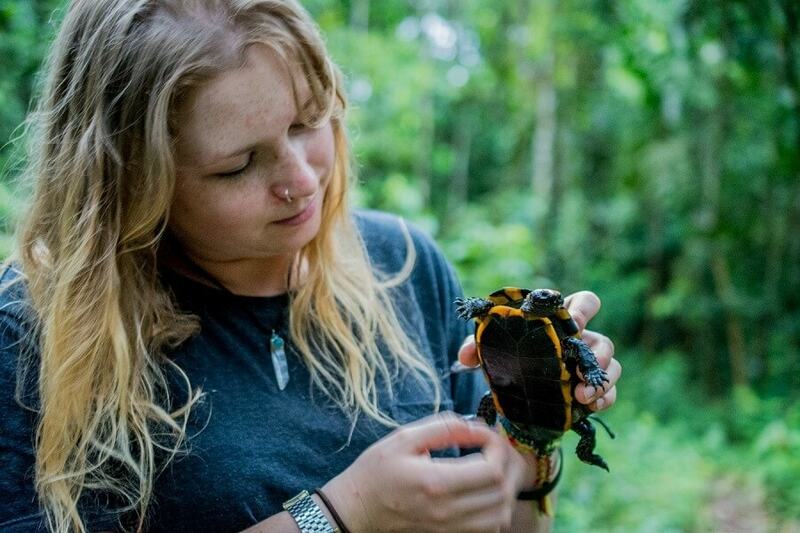 Here’s an interesting blog by James Borrell, a conservation biologist and science communicator, on Why Volunteering With Animals Does Nothing For Conservation and Tourism Concern have detailed advice if your looking to volunteer with animals. Now, we’ve spent a long time thinking about others, it’s finally time to think about ourselves. What will you gain from the experience? Most of us want to learn and grow through volunteering. A well designed volunteer project will have a extensive educational package built into it. Think carefully about what you want to gain from volunteering, make a list of the skills you want to develop and the topics you’d like to learn about, then ask the organisation if they can help you reach these objectives. It might be that they don’t have the capacity to meet all your needs, but at least now you can discuss the options and see if the placement is right for you. After all, whether the organisation has social or environmental aims, it will want to engage and inspire its volunteers – giving them the knowledge and drive to take action and create change. Here at the Crees, education is at the heart of everything we do. We want to give people, both locally and internationally, the knowledge and skills to become passionate environmentalists. We believe this is the key to saving out natural world into the future.